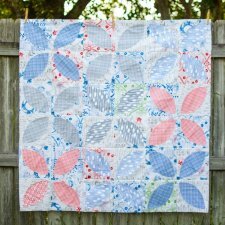 "I must be longing for spring because the quilt I decided to make for this month's Classic Block's: Fresh Fabrics tutorial and giveaway is warm and delightful. It's the Orange Peel block. We are finally making an applique block! The tutorial is below and I designed a template in three sizes (for a 12'' block, 8'' block, and 4'' block) that I'll post for you in my free Craftsy shop and in our facebook group files. "In case you are catching this blog series for the first time, we're making gorgeous quilt blocks using the classic patterns and fresh modern fabrics from Anna Griffin and Blend Fabrics! 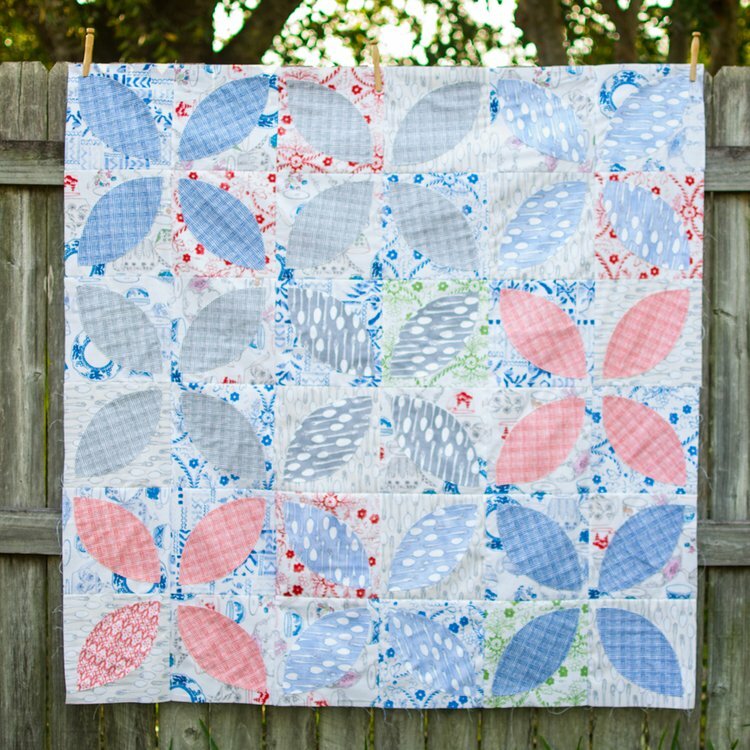 So far we've made the Shoofly Block, Bear Paw block, Yankee Puzzle, Spinning Spools, the Rail Fence Block, the Variable Star, the Sailboat Block, the Dutchman's Puzzle Block, the Churn Dash Block, the Friendship Star, and the Snowball and Nine Patch blocks together! 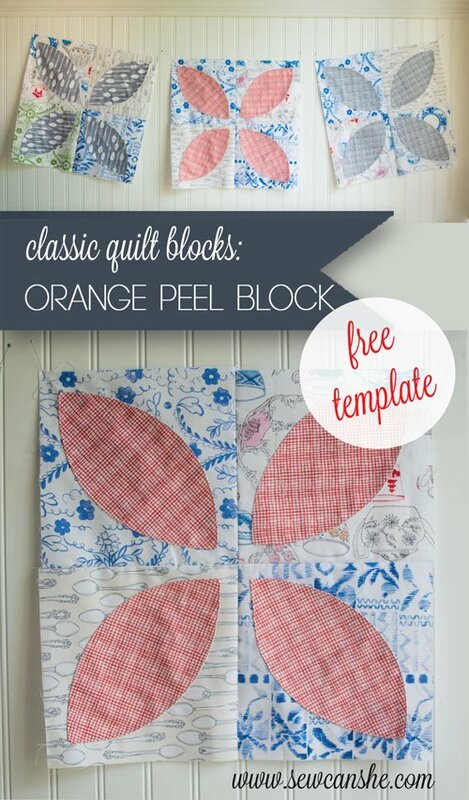 You can search for 'classic blocks fresh fabric' in my search box to find them too."